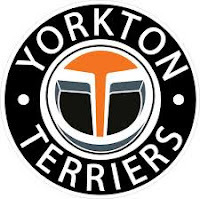 In this weeks "Minute Muffler & Brake" Yorkton Terriers Coaches Show , Head Coach/GM Mat Hehr recaps the weekend split in Flin Flon and previews Saturday's showdown in Melville. 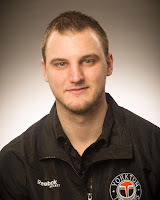 Dubas (Rama SK) had his best offensive week as a junior, scoring a goal and three assists in three games played as the Terriers continued their winning ways, picking up victories in two of the three games. Dubas had two apples in a win over Notre Dame on Wednesday and then scored on Friday as the Terriers fell in the first of two at the Whitney Forum. Dubas then had an assist on Saturday in a 5-4 win. For the year, he has 1-goal and 5-assists in 14-games and is well on pace to set career highs, offensively, in his third year as a Terrier.